The Panthers received big-time production from their seniors en route to a Turkey Day win over Abington. When the Whitman-Hanson Regional High football team bowed out of the playoffs, the heartbreak didn’t last for long. “After one or two days, we said, ‘We need to step it up and let last week go. The past is in the past. 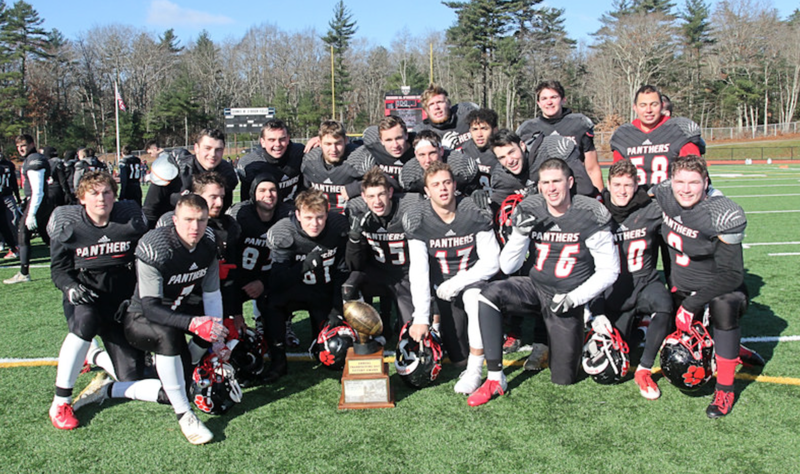 We’re now in the present and we need to move on,’” W-H senior captain Quinn Sweeney said of the team’s emotions after a 2113 loss to North Attleboro in the first round of the playoffs. Yes, the disappointment still lingered, but the Panthers still had something to play for, and that’s where they shifted their attention. With three games remaining in the regular season, the Panthers – 5-3 at the time – were aiming to win eight games, a feat the program hadn’t accomplished since 2011. Reaching the eight-win mark was personal, especially for most of the 21 seniors who watched this team go 7-4 for the past three seasons, and played major roles in the past two. The Panthers knocked off Feehan, 21-20, and fended off Bridgewater-Raynham, 15-14, the following week to put them one win away from No. 8 with a Thanksgiving tilt with rival Abington standing in their way. After three-plus hours of football in the subfreezing temperatures, they can finally call themselves an 8-3 football team. Backed by a dominating defensive effort and a secondquarter scoring spurt, W-H shut out Abington (8-3), 160, in the 108th Thanksgiving Day meeting between the two. Senior captain Ethan Phelps starred out of the backfield for W-H, carrying the ball 16 times for 148 yards. Leading 6-0 after a Nate Beath (seven carries for 69 yards, TD) 6-yard TD run, Phelps took a handoff and darted 65 yards inside the 25-yard line. A few plays thereafter, senior Jake O’Brien drilled home a 23-yard field goal. On the ensuing kickoff, a Green Wave fumble landed in the hands of Panthers senior Ryan Downing. 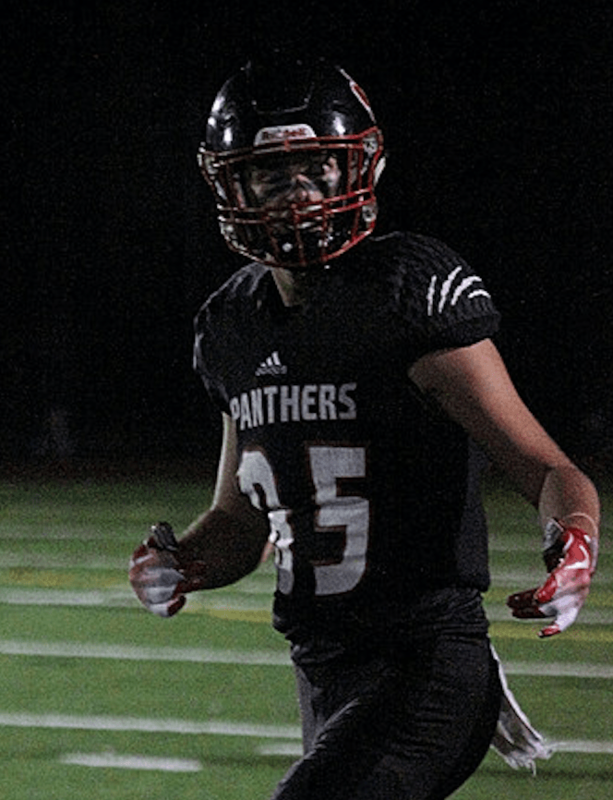 On the next play, Phelps connected with senior captain Rian Schwede on a 25-yard TD to put the Panthers up 16-0 with less than a minute remaining in the first half. W-H’s defense, keyed by three fumble recoveries by Beath, took care of business the rest of the way. Driscoll stressed the importance of his strong senior class playing in their last ever high school football games. Seniors Quinn Sweeney and Ryan Trongone have been playing on the line together their whole lives. For Whitman-Hanson Regional High foot ball seniors and starting two-way linemen Quinn Sweeney and Ryan Trongone, most weeks their toughest competition doesn’t come on Friday nights. It doesn’t even come from the other team. Every Wednesday during practice, the Panthers hold their pass rush championship. Each drill calls for one quarterback, one offensive lineman and one defensive lineman. After cycling through the rest of the team’s linemen, Trongone and Sweeney are almost a sure bet to be the last ones standing. Some weeks, Sweeney, who starts at right tackle and defensive end, gets the edge on Trongone. Other weeks, Trongone, who starts at left guard and defensive end, swoops un der Sweeney . On game day, the two, who have been starting on both sides of the ball for the past two seasons, compete on the stat sheet as well. Their work on W-H’s defense, which is surrendering under two touchdowns a game, has been eye-popping. Sweeney leads the team with 21 tackles for loss and Trongone is second with 14. In a 9-6 nail-biting win over New Bedford earlier in the season, the two brought down the opposing ball carriers behind the line of scrimmage five times. They’re not just reliable up front. They’re leaders there as well, always trying to find a way to bring their unit closer. The two have been building chemistry on the offensive line since playing in Hanson Youth Football, where they won the Super Bowl as eighth graders. Sweeney was an offensive guard and nose guard and Trongone played defen sive end and center. “It’s almost instant where we can say, ‘Go get this guy,’ and the next thing you know we get a run for 10 yards,” Trongone said. And Thanksgiving Day marks the final time these two linemen will step onto the gridiron as teammates. The fifth-seeded W-H football team (5-2) will visit fourth-seeded North Attleboro (5-2) Friday at 7 p.m. in the first round of the Div. 3 South playoffs. The Whitman-Hanson Regional High football team will attempt to do something Friday it hasn’t done in 17 years. That’s win a playoff game. It’s been since the 2001 Super Bowl that W-H has found itself on the winning end of a postseason tilt. It there ever was an opportunity for the Panthers to halt that trend, it would appear this is the one. The senior-laden Panthers (5-2) earned the No. 5 seed in Div. 3 South, drawing No. 4 North Attleboro (5-2) in the process. The two will square off at 7 p.m. at North Attleboro on Friday. The last meeting between the two teams was two years ago when the Red Rocketeers knocked the Panthers out in the first round, 33-8. Then-sophomores Mike Connors, Jacob Nixon, Ethan Phelps, Rian Schwede and Quinn Sweeney played pivotal roles on that 2016 Panthers team. That unit then brought the Panthers back to the playoffs last season, where they were ousted in the first round by Stoughton, 30-21. 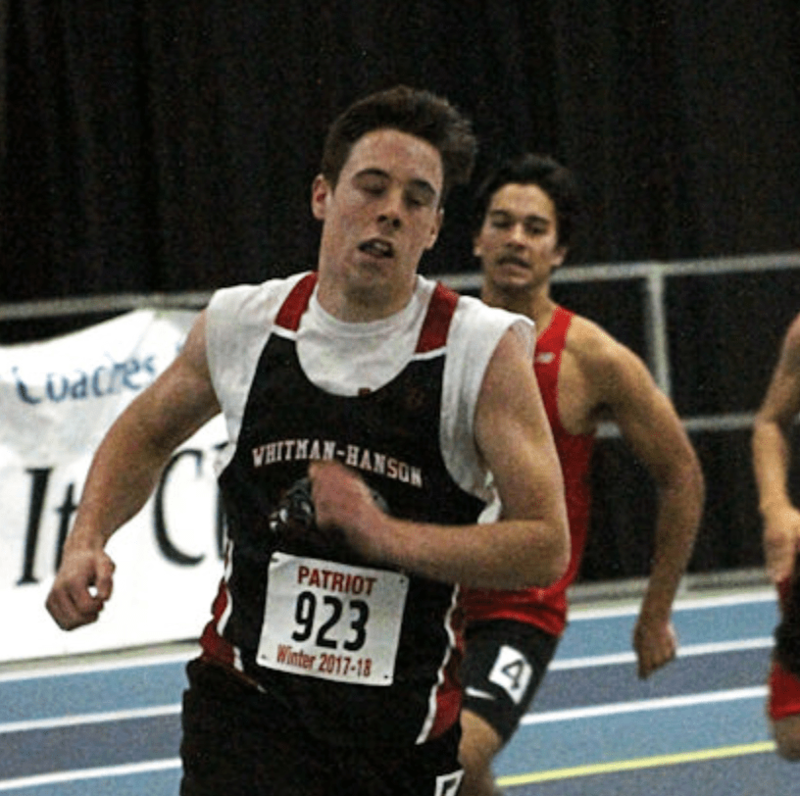 W-H head coach Mike Driscoll believes it’s time where all that experience pays off. Driscoll said if he’s learned anything over the past three seasons, all of which featured first-round playoff exits, it’s to not blow the postseason out of proportion. The Red Rocketeers are no stranger to the spotlight, having advanced all the way to the Div. 3 Super Bowl last season, falling just short to St. John’s (Shrewsbury), 35-33. North Attleboro, allowing just a tick under 14 points a game, owns signature victories over King Philip (14-7), Foxboro (34-0) and Canton (14-10); Bishop Feehan (23-19) and Stoughton (21-10) account for its two losses. Senior quarterback Nick Raneri (seven passing and four rushing TDs), senior running back Brendan McHugh (10 rushing TDs) and senior WR Ryan Gaumond (six receiving TDs) power North Attleboro on offense. The Panthers, allowing just over 10 points a game, have held opponents to 13 points or less in all five of their wins. 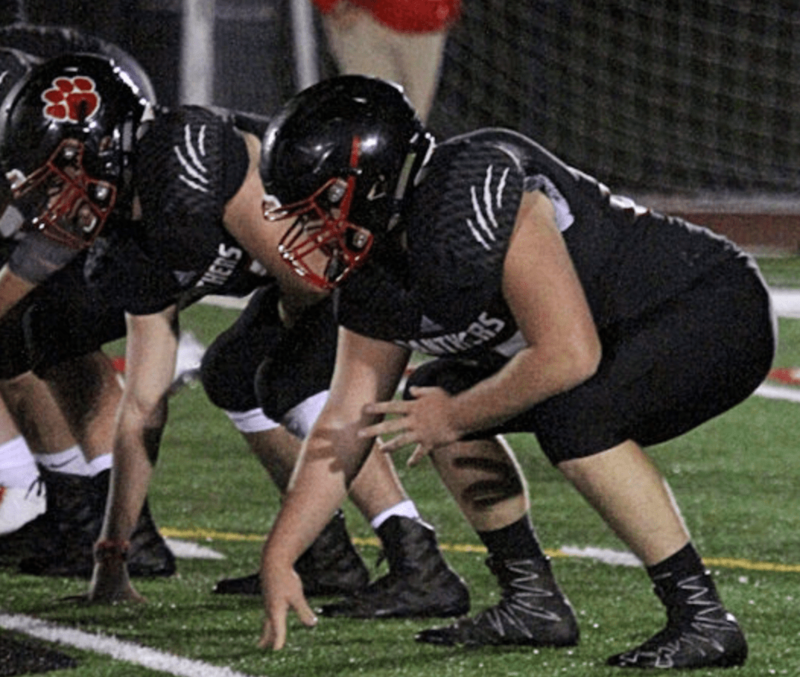 They’ve posted shutouts twice, including last week against Plymouth North in a 21-0 victory. The Eagles mustered up just 18 yards against the Panthers. “It was a game where we had the same records (4-2) and we knew that they were physical and we wanted to be physical and we certainty dominated the line of scrimmage and dominated on defense,” Driscoll said. With a victory Friday, W-H would face the winner of No. 8 Stoughton (3-4) at No. 1 Duxbury (7-0) in the semis. “We feel like we got a pretty good team and we told the kids after the game the other day we feel like we can beat anybody right now, so whoever’s in our way, we’re going to give it our all,” Driscoll said. Senior captain Rian Schwede has done anything asked of him, and is flourshing in that role. The general consensus about Whitman-Hanson Regional High senior Rian Schwede is simply stated: He’s as unselfish a player as you can ask for. His talent blends quite well with his unselfish manner, too, and it hasn’t been more evident than over the last two weeks. 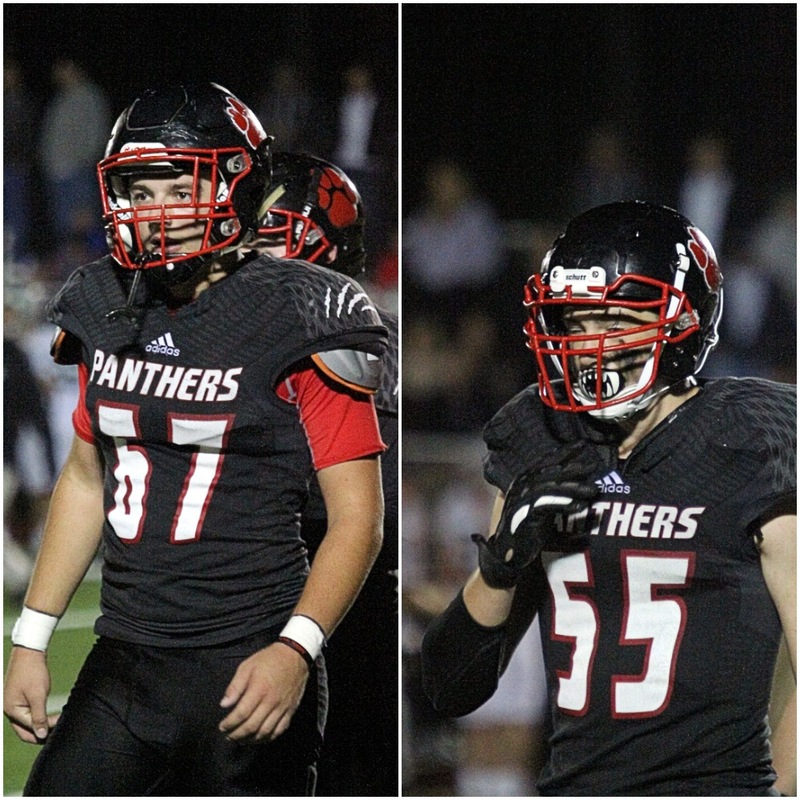 Due to an unforeseen change at quarterback early in the season, the Panthers needed a boost under center, and Schwede, who was on the receiving end of 19 passes for 300 yards and two TDs last season, stepped right in and is now sharing snaps with junior John Zeidan. Quarterback isn’t completely foreign to Schwede, as he played it throughout youth football, but it’s never easy to accept a position change, albeit a partial one. “I always love my receiver spot, but it was like second nature when coach told me [to play quarterback],” Schwede said. But Schwede, who stands at 6-foot-3, isn’t just playing quarterback. He has also been been split out wide and lined up in the backfield, along with starting in the defensive backfield and on special teams and flourishing while doing so. Over the past two weeks, Schwede’s posted five touchdowns and a two-point conversion rush, while recording an interception. On some occasions — as in two games ago against Quincy — Schwede will see action at receiver, running back, quarterback, defensive back and placeholder all within the span of a quarter. Senior kicker Jake O’Brien’s said Schwede’s unselfish attitude is nothing new. Against the Presidents — a 39-0 shutout victory — Schwede found himself on the receiving end of a 30-yard TD from Zeidan, tossed an 11-yard score to classmate Jacob Nixon and rushed for a 2-yard TD. The offensive outburst came after the Panthers were held to two touchdowns or less their previous three games. Against Silver Lake last week — a 29-6 victory on senior night – Schwede fired a 57-yard TD to Nixon on a fleaflicker to open the scoring just 16 seconds in. Then, in a 2:06-span in the fourth quarter, he converted a key two-point conversion run to put the Panthers up by two-plus scores, came down with an interception and tossed a 76-yard TD to classmate Ryan Downing. Schwede said the biggest adjustment has been studying all of the pages of the Panthers playbook rather than a few. It’s on to Plymouth North (4-2, 2-2) for Schwede and the Panthers for a key, in terms of potentially hosting a playoff game, Patriot League Keenan Division battle. “We got to have a real good week of practice and preparation and that’ll be it,” Schwede said. Panthers moved to 3-2 and 1-2 in the Patriot League with their first shutout since 2016 (41-0 vs. Quincy). Whitman-Hanson Regional High football head coach Mike Driscoll couldn’t have asked for much more out of his team than he received Friday evening. The Panthers stymied the Presidents offense, forcing them into five turnovers, while giving their defense headaches courtesy of six touchdowns in a dominating 39-0 Patriot League Keenan Division victory at Dennis M. O’Brien Field to snap a two-game losing streak. W-H (3-2, 1-2) poured in its first 19 points while having the ball for all of 4:30. Senior captain Rian Schwede shined for W-H receiving (30 yards), passing (11 yards) and rushing for (2 yards) TDs in the rout. It took the Panthers all of 52 seconds to find pay dirt when senior captain Ethan Phelps (8 carries for 92 yards) took the second play from scrimmage 18 yards for a score. The ensuing Quincy (1-4, 1-3) possession was halted when Panthers junior Joe McStravick picked up a fumble to give them possession at the Presidents 40. Two plays later, junior signal-caller John Zeidan connected with Schwede on a 30-yard TD. 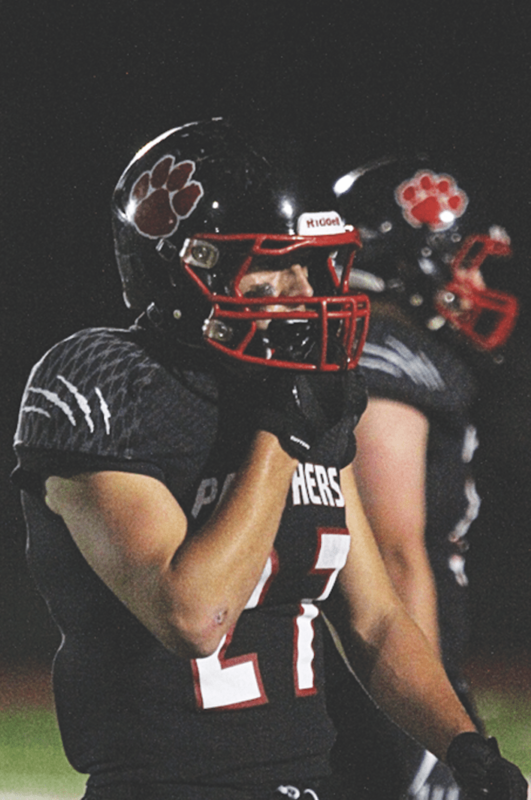 On the next Presidents drive, it was Panthers senior Nate Beath wreaking havoc in the backfield. After back-to-back tackles for loss, Beath scooped up a fumble recovery at the Quincy 11 to give W-H prime field position. Schwede made sure to capitalize on the opportunity by hitting senior captain Jacob Nixon for an 11-yard score to push the Panthers ahead 19-0 with 10:50 remaining in the second quarter. A 2-yard TD score from Beath with 2:43 remaining in the first half made it 26-0. Third-quarter rushing scores from senior Billy Martell (7 yards) and Schwede capped the scoring at 39. W-H is back in action Friday, Oct. 12 at home for senior night at 7 p.m. against league rival Silver Lake (1-4, 1-3). Before the season even started, Mike Driscoll let his feelings be known of his senior kicker Jake O’Brien. On Friday night, Driscoll’s confidence was tested as was O’Brien’s poise. After a Mike Connors run advanced the ball to the New Bedford 17 and two timeouts thereafter, O’Brien got his time to shine in front of a packed Dennis M. O’Brien Stadium. With four seconds remaining and the score knotted at 6, the fourth-year varsity kicker knocked in a game-winning 34-yard field goal as time expired to send the Panthers to a 9-6 victory. “When it came time to do it, I wasn’t really thinking, just kind of instinct — all this practice time I’ve put in for a long, long time finally paid off for me tonight,” O’Brien said. With 3:09 left, W-H (2-0) forced New Bedford (0-2) to punt after just a 17-second drive. On the punt, senior Billy Martell drew a catch interference call, which advanced the ball to the Whalers 40. Martell then bulldozed his way ahead 14 yards to get the Panthers inside New Bedford territory. Junior John Zeidan – starting under center for senior quarterback Ethan Phelps (illness) – followed up Martell’s run by hitting senior Ryan Downing, who just had an interception, in stride down the left side for a 21-yard completion with time winding down to get into field goal range. The Panthers struck first in this one with 37.4 seconds remaining in the first half when Connors plowed his way to pay dirt from 1 yard out. A 37-yard throw from Zeidan to senior captain Jacob Nixon keyed the drive. Tru Williams countered for the Whalers in the third, hitting Joey Alverio on a 9-yard pitch and catch to even the score at 6. W-H’s defense was sparked by senior captains Connors, Rian Schwede and Quinn Sweeney, along with Downing and seniors Nate Beath and Ryan Trongone. The Panthers begin league play next week when they travel to Hingham (1-0) at 7 p.m.
“We’ll enjoy this for a little while and they we’ll get right back at it,” Driscoll said.